CPK national pizza day - buy 1 take 1 pizza! I had the best time yesterday at CPK's Greenbelt 5 branch for a preview of their upcoming National Pizza Day this August 13, 14 and 15, 2014. Yup, 3 days! 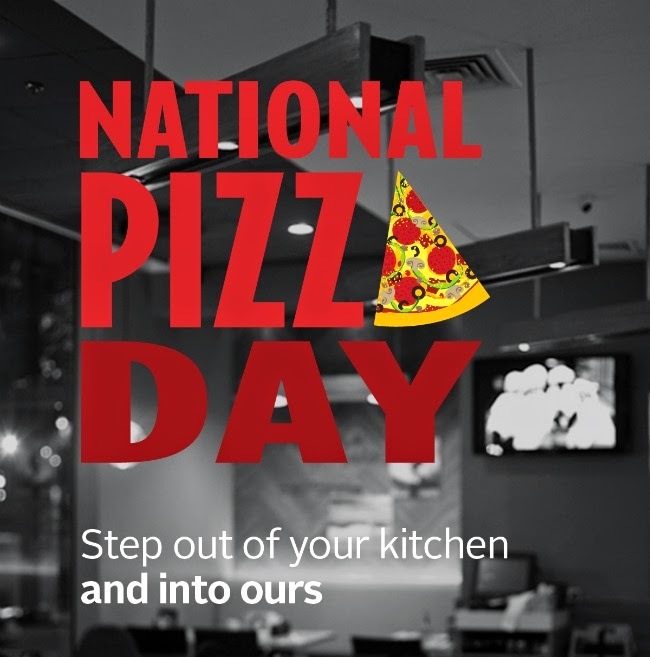 National Pizza Day coincides with CPK's anniversary in the Philippines. Do you know that they've actually been here for 17 years already? National Pizza Day was first introduced last 2012 as a 1-day affair. Lines were always extremely long from opening to closing. No pizza-loving Manileno wanted to be left out of the awesome Buy 1 Take 1 pizza deal. To solve the dilemma and to give others more chances to enjoy this special once a year treat, California Pizza Kitchen Philippines has decided to extend National Pizza Day into a 3 day event where customers get a FREE Traditional Cheese, Original Pepperoni or Italian Sausage + Pepper pizza for every regular pizza they order! Even better? The offer is also good for Take-Away! Time to schedule a yummy pizza party just like what we had yesterday! During an intimate event yesterday, me and 12 other bloggers had our fill of endless cocktails and pizza for a good chunk of the afternoon and well into the night. Even during non-events, an hour is never enough for a visit to CPK. Yes, I still love my Santa Fe and Barbecue Chicken Pizza (which is often imitated, never duplicated because of CPK's super secret barbecue sauce which is just heavenly in the mouth :P) but I'm willing to put those two on the back-burner for now in favor of the "Untraditional Pizza". It's just cheese and tomato goodness from beginning to end. I'm sorry if this post might seem overly patronizing but I really, really had an awesome time last night and CPK has always been (and still is) one of my MOST favorite restaurants in the world. They have the best crust and their pizza is just really and totally out of this world delicious! Which is why you definitely shouldn't miss this year's National Pizza Day! It seems delicious and I like the blog very much ! Thanks for sharing Sarah! Love CPK pizza!